Egyptian national holidays seek to honor the deeds of the past. Their value is invested by the state, but the people can sometimes force a redefinition. The most recent example occurred on January 25, 2011, now celebrated as the birth of the revolution. But the date was chosen to coincide with Police Day, in protest of the brutality for which they were known. The current example is under contention, taking place October 6, 2013. The date traditionally honors the launch of the surprise attack across the Suez Canal which led eventually to the liberation of Sinai, known more often in the West as the Yom Kippur War. Now, pro-Morsi supporters have chosen the day to launch massive protests against what they deem was a military coup. As January 25 became a popular rejection of the police state, they hope October 6 will become a popular rejection of the military state, and in particular its head, Gen. Abdel Fattah al-Sisi. The protest weekend kicked off today, leading to sporadic clashes, and an at least initial failure to occupy desired squares such as Tahrir and Rabaa, site of the pro-Morsi sit-in violently dispersed in August. God, what is Egypt’s history? In all nations it is part fact and part construct, defining what it means to be a citizen. Only in Egypt there is plenty to choose from, simply pick your millennium. Which is more honorable in your eyes: distilled data or cherished myth? As Egypt faces her future, give an accounting of her past. Help her self-improvement to be based on self-reflection. But what of today, God? In one sense it is more of the same. Protests of diminished size seek to keep alive the hope of reinstating a president and returning achieved legitimacy. But they also appear to further antagonize a tired population which – at least in the cities – had largely rejected the president even before he was deposed. The difference is twofold in possibility. First, they aim this time for the squares, which if occupied bring great symbolic value. Second, they call for numbers and have built up the hype, which if fulfilled can redefine the struggle. God, success and failure are in your hands. Many Egyptians pray you grant them success, while many others praise you for thwarting their ambition. In a polarized nation, God, make clear the facts. Reveal all offenses and manipulations, so that culprits are exposed for all to see. 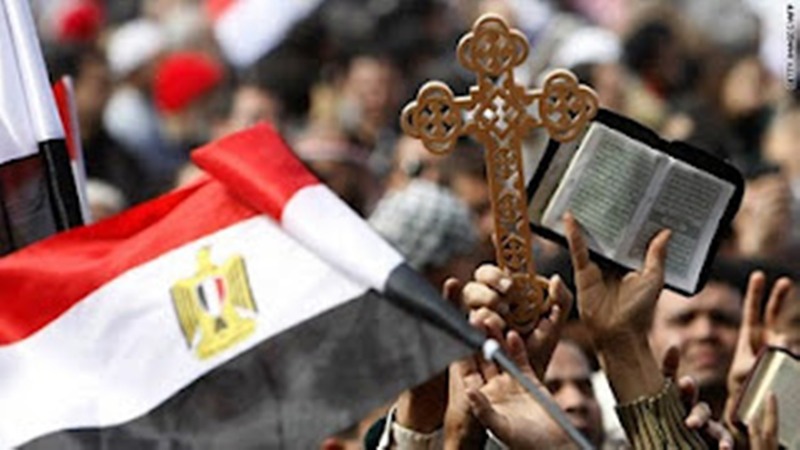 A new Egypt was born on January 25, God, but such a venerable nation can never be truly new. A part of that nation was recovered on October 6, and some hope to claim – or reclaim – her again this week. Be sovereign in Egypt, God, and give sovereignty to the people. Protect them and Egypt together. But redefine them according to your will, that peace, justice, transparency, and love might define the nation entire.